Ah, the heady days of 2013. 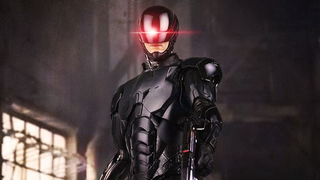 Remember when everyone started freaking out that the new Robocop reboot's sleek black armour was a change too far? Even when the movie turned out surprisingly good, it was still a point of contention. But now Robocop's latest look is joining ThreeZero's line of gorgeous 1:6 scale figures. It might not be the Robocop that most people know and love, but it is a pretty nifty looking toy. As ever with ThreeZero, a teaser image usually means preorder details (and lots more images) are on the way soon, so stay tuned to their Facebook if you want to get your hands on one.